Montreal’s Cirque du Soleil Tent is Back! The Cirque du Soleil tent is up and what a surprise it is not the usual color! It is a very sleek looking grey and white instead of the usual blue and yellow. The show’s name is Volta and it will run from April 20 to July 23. Tickets start at $39.00. Our EC Montreal students are already busy getting their tickets online. The Cirque du Soleil show is a must-see attraction in Montreal. 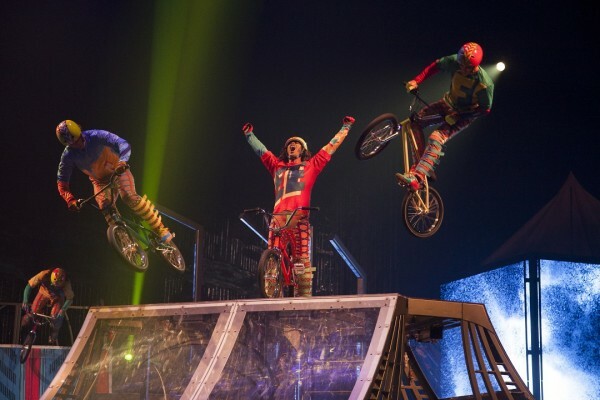 We are so proud of the fact that the Cirque du Soleil was founded right here in Montreal! Follow the link if you are interested in taking English or French Courses in Montreal!